Ooh la la luscious! 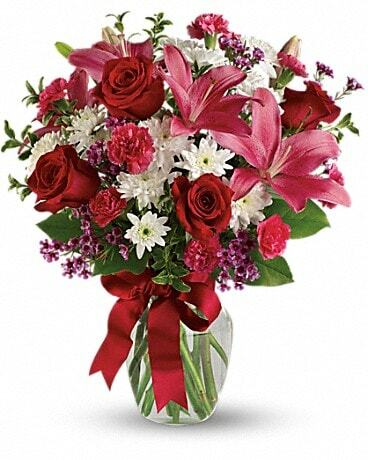 Declare your love with style - send her gorgeous red roses and fragrant pink lilies set off with a red-hot satin ribbon. If she loves Valentine's Day (and you know she does), she'll be thrilled with this gorgeous gift.